Productive warm weather pea with cold tolerance. The sweetness of garden peas is legendary. Wando is our most productive pea in warm weather. It's also tolerant of cold, so it can be planted early. 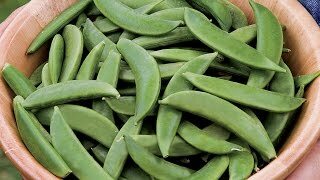 The blunt, dark green pods with 7 to 8 medium-sized peas are great fresh or frozen. Makes an outstanding winter crop in Zones 9-11. The best way to stretch the harvest is to plant early and late varieties. Direct-sow in early spring, again in midsummer for a fall crop. 200-225 seeds per packet, sows about 30' of row. Our seeds are not treated. Pea, Wando is rated 4.8 out of 5 by 6. Rated 5 out of 5 by Sparkey from Wanda pea height I love Wando peas, but they have tendency to grow very tall, but the vines can be snipped to control the height. Rated 5 out of 5 by SmartAlex from Wando Peas grow like magic I've grown Wando for years and am always happy with them. The only challenge is their height. I use expanding pea fence and the normal height is not enough for Wando. I finally got double height fence and that made all the difference. My Wando peas have climbed six feet in height and are doing great. I can even reach up to pick peas instead of bending over, The pods themselves are more compact than most varieties with 7-8 peas per pod just as advertised. I always have great germination and vigorous growth from Wando. Rated 5 out of 5 by Mastergardener246 from Nematode tolerant and excellent germination Bought wando because it is the only pea said to be nematode resistant. It surely is! Planted seeds in the ground in unusually cold (for SoCal) December. While poor germination from super sugar snap and oregon giant, outstanding germination and plant vigor from wando. My little granddaughter will enjoy shelling and eating the peas. Rated 5 out of 5 by Brutus from Terrific producer This pea variety lasts the longest in our hot climate - we get a least a month's worth of harvest out of it, which is pretty good for our area. The peas do need to be shelled, but they are tender and sweet and freeze well. The plants usually reach 5ft tall and get pretty heavy when they are loaded down with pods. We usually freeze at least 15 quarts of peas every year and this is our variety of choice. Rated 5 out of 5 by indigosand from Grows beautifully in the heat This one is welcome in my garden over and over! The only thing that could make this pea any better is edible pods. They are compact, pretty, fairly pest-resistant and easy to grow. I did not experience any issues with germination and the yield was exceptional on such small plants. We enjoyed the tender small peas both fresh and cooked. Delicious flavor, sweet and balanced. I grew them all year long, even through the hot desert summers. Rated 4 out of 5 by GardenGirlinUT from Perfect Pea for my climate This is the perfect pea for my climate. It had no problem handling my cold spring that quickly became a hot summer. 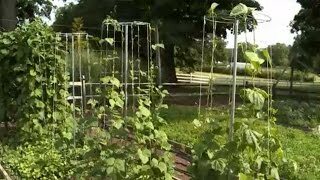 It was fairly productive, I picked enough peas to have about 2 shelled cups every other day for a few weeks (from one small package). Perfect when eaten raw or steamed.